It was ruled that the company did not address racial abuse directed towards an employee. A BOUNCER WHO was racially harassed and told that all Romanians “are thieves and liars” has been awarded €20,000 in a discrimination case. Ioan Florin Rusu was working on the door as a bouncer for a Dublin city centre pub attached to a hotel when berated by the owner of the business. The hotelier, whose name is not included in the published decision, then told Rusu to go home. Rusu was not directly employed by the hotel but worked for private security firm Senture Security Limited. When he reported what was said to him to his supervisor, he was told to go home and to contact his boss the following day. 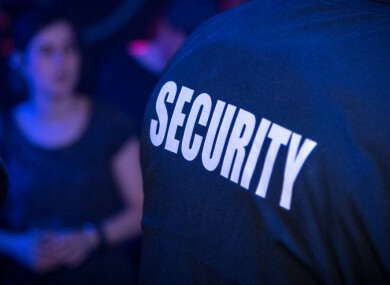 Prior to the incident, Rusu had been working 45 hours a week with Senture Security. However, when he contacted his employer the following day, he was told not to return to work at the hotelier’s business and that he would be sent to other locations. Rusu phoned Senture Security on a number of occasions but he was not given any work for the next month and no pay after the date of the incident. Rusu eventually requested his P45 from the security firm because he had to find other work. Senture Security told the WRC that it didn’t deny Rusu was harassed by the hotel owner and confirmed the alleged statements were said to him. The firm stated that once notified of the harassment, it took steps to protect Rusu. Rusu said that the incident in June 2015 was not the first time the hotel owner had been abusive. On a separate occasion, the hotelier told another security guard to go home and had called him “a donkey”. Senture Security told the hearing that the hotelier was often under the influence of alcohol on the premises and a witness for the firm told the hearing that the hotel owner was drunk most evenings. Rusu got alternative work with a different security firm but was only earning €200 a week on reduced hours and eventually had to go back to Romania where he now resides as he couldn’t afford to remain in Ireland. Rusu advised the hearing that he had travelled back from Romania for the hearing of his case. Adjudication officer Orla Jones said that Rusu presented as a credible witness and gave his evidence in a clear manner. In her ruling, Jones said that Rusu was harassed based on his race and that Senture Security failed to take any action on foot of his complaint. She said that Senture Security would not have treated an Irish employee in the same way and that its failure to provide him with any alternative work amounted to less favourable treatment on the grounds of race. Rusu’s constructive dismissal was inextricably linked to his complaint of harassment and to his race, according to Jones. Jones said that she must ensure that the award is effective, proportionate and dissuasive. She added that she took into account Rusu’s pay at the time and awarded him €20,000 for the distress suffered by him as a result of the harassment and the discriminatory dismissal. Email “Bouncer who was told all Romanians 'are thieves and liars' wins €20k in discrimination case”. Feedback on “Bouncer who was told all Romanians 'are thieves and liars' wins €20k in discrimination case”.